There is nothing glorious about suffering. I may intellectually recognize its importance as part of my journey with Jesus, but the moment that I really face suffering is shocking. All my pious words go out the window. The pain is immediate; it really hurts. 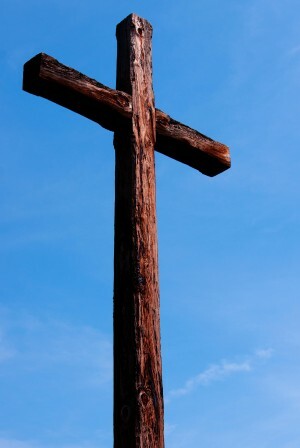 The reality of the cross knocks the wind out of my ideals. The experience of the cross feels neither holy nor redeeming. I wonder if Jesus expected the cross to be so heavy. Did Jesus imagine beforehand how real his pain would be? Could he have known what the nails would feel like in his hands and feet? Did he anticipate what it would be like to thirst so intensely – not just for water, but for God? Jesus went to the cross defenseless, unprepared for what lay before him; he yielded to the will of his Father. He chose to drink this cup. For the sake of love, he would endure every form of agony: most terribly, the felt absence of God’s presence. What does this mean for me, as a modern-day person who desires to follow in the way of Jesus? Do I really know what I’m asking when I say I want to drink his cup? Am I being realistic about what it truly means to follow Jesus? Am I ready to take up my cross daily?